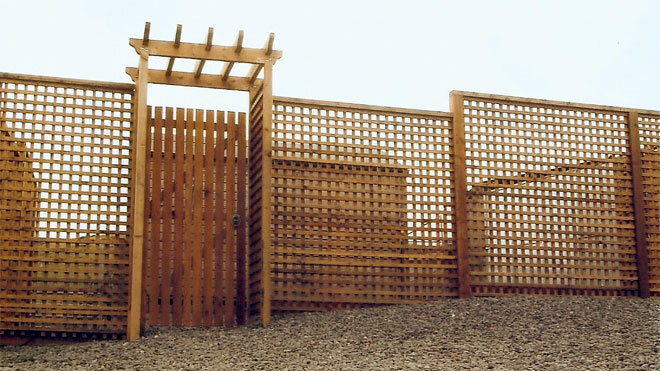 What do you think of when you hear the word “fence” spoken aloud? Unless you’re my friend Fleur (she’s a fan of the romantic sports), you probably lean towards the world of “things that stick in the ground and enclose other things” and you would be correct, as fences do just that; they enclose, divide, and protect areas and organisms for a variety of purposes. If we can agree to such a broad definition, we should be able to agree that fences also define parameters of use, for if one can’t get past the fence, one can’t engage with anything outside (or inside) of its parameters. Why am I fixated on the definition of a fence? Well, a good deal of user experience design is centered around defining parameters; experiences that support specific goals rely on thoughtful crafting of usage parameters that work towards the needs of the user. Does the top/down navigation live in a consistent pane in the interface? If it’s located at the top of the screen, how does it behave? Does it expand onRollover or onClick? Does it display horizontally or vertically? Does it employ hover states for greater affordance? How does color and behavior reinforce the brand? How is bottom/up exploration presented? Before we get too granular within an imaginary interface, let’s step back outside for a moment and think about how we might design a fence in the real world. The placement of corner posts could be determined purely on property lines or through specific requirements based on the needs of the owner. The height of the fence, and its types of rails or wires, could be designed based on security requirements, or based purely on style. These specific choices define how, say, a fence can keep sheep grazing within a field; or one that protects property in the midst of urban renewal; or one that surrounds a house at the end of a cul-de-sac. Solution choices determine specific outcomes. Interactive design is an iterative process, a constant remodeling based upon the objectives and desires of both the business and the user of the system in play. But moving from good design to great design requires an effort of reduction to reach an elegant solution, where less is more and the complex takes form in simplistic presentation. Back to one of our fence examples: lets say sheep are now grazing behind an elegant, rustic, utilitarian, wire fence with wooden posts. You’ve designed the perfect experience to meet the particular needs of your customer, and she is ecstatic with the outcome. Congratulations, but don’t pat yourself on the back for long. As people engage with interactive spaces, priorities and needs will shift on a dime. In this out-of-control metaphor, imagine your ecstatic customer now telling you that her sheep are going to be racing for cash on the property across a range of individual courses, which will drive numerous betting options for the local yokels. For good measure, you also catch wind that other farmers may be using the property for similar purposes in the near future, but will most likely use more exotic animals than sheep; animals much faster and larger, with different maintenance needs and subtle details pertaining to optimal footing. Each farmer is now a stakeholder in how the property needs to function, yet they each hold a different degree of say in the decision making process. With multiple priorities and agendas in play while designing for an optimal experience of the overall environment, your general approach to quality design (reduction and elegance) remains steady, but the outcomes that you’re driving to meet must be continuously and iteratively redefined and understood. One thing is for certain: you can’t possibly satisfy each customer requirement with a singular understanding of a fence. The challenge that lies on the horizon: How might you broker the definition of appropriate usage parameters moving forward? You’ll need to meet each customer’s explicit needs, but not by making “fences” too complicated or by over customizing the experience to any one client need in particular. You’ll need to be innovative with your solutions by keeping an eye on the underlying viability, usability, and usefulness of the environment that you help create. You’ll need to be discrete in your approach to both understand and frame the outcomes that your designs ultimately serve, or you’ll never reach them. Tom Sawyer has nothing on the challenge you now face.